DETAILS: If R&R is what you need, look no further than 128 Bullard Road, a three story vacation haven tucked away just south of Scenic 30A in secluded Dune Allen Beach. 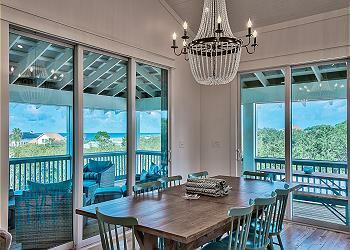 This getaway offers gulf views and an abundant amount of porch spaces from which to enjoy the beautiful Florida weather! Newly constructed and professionally decorated, this beach retreat was designed to provide dazzling views of the Gulf of Mexico throughout the third floor living area as well as the 14 foot wide screened porch. On the second floor you will find an additional common area and spacious deck where you can enjoy your favorite ice cold beverage while surrounded by lush, natural vegetation. 128 Bullard Road offers an elevator for easy access to all three floors, two master suites, two guest bedrooms, three and a half bathrooms and wonderful accommodations for up to ten guests making it the perfect spot for multiple families. When you're ready for some fun in the sun, head down to the beach access which is less than a five minute walk away and also neighbors the secluded beaches of Topsail State Park. Prepare your favorite meal in the fully equipped kitchen or venture out to any of the delectable dining venues scattered along Scenic Highway 30A. Whether you're vacationing to explore or to escape from the hustle and bustle of everyday life, this home is sure to provide! 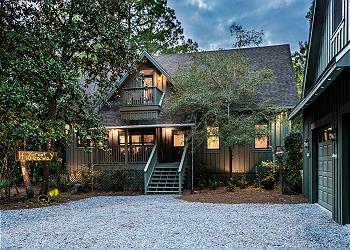 OTHER AMENITIES INCLUDE: 4 adult bikes provided, outdoor gas grill and screened porch. This property comes with 5 dedicated parking spots. Complete Clean Linen Participant - ALL linens, including comforters laundered upon every checkout. We had a fabulous experience with 360 and with our rental property. The house was very nice, clean and convenient to the beach! We had everything we needed for our week’s stay. We had an issue with our chair rental as the chairs not have our name on the tag and a neighbor swore they were their chairs but 360 sent someone to resolve the issue and we had no other issues during our stay. I was traveling with a broken foot so the lift in the house was appreciated as was the beach wheelchair 360 provided! Thanks for a fantastic vacation! We are so delighted that you enjoyed your stay with us in Dune Allen at this amazing home for your vacation! The photo you shared is absolutely breathtaking! We are so glad to hear that the one issue you had was resolved quickly and efficiently for you! Thank you for staying with 360 Blue, we hope to see you again soon! We are so delighted to hear how much you all enjoyed your stay with us in Dune Allen! We agree completely, that this home has it all and is extremely accommodation for everyone! Thank you for staying with 360 Blue, we look forward to hosting you all again next year! We had a wonderful stay at Sea Glass. The house was beautiful and I’ve had several friends asking for the property information after seeing our pictures. Thank you for a wonderful “home”. Our 3 year old granddaughter keeps asking us to go back to the “blue beach house”. 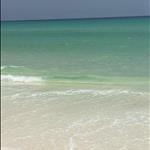 We are so delighted that you enjoyed your vacation with us in Dune Allen! We agree that this home is perfect for a fun family getaway and we especially loved the photo you shared! It is absolutely priceless! Thank you for staying with 360 Blue, we look forward to seeing you again soon! This our second stay at Seaglass, the house is more beautiful than I remembered. Our family of six, myself, my husband, our daughter, son-in-law and two of our granddaughters. So much space to spread out with everything we needed to cook in if we so desired. Wonderful neighborhood and short walk to the beautiful beach. Can’t beat this location. We are so delighted to hear how much you enjoyed your vacation with us in Dune Allen! We agree that the location of this home is wonderful for a relaxing a fun getaway also, the photo you shared with us is breathtaking! We hope to host you and your family here again very soon! This house! Our 2nd year here and we loved it even more! The view from the amazing screen porch! The beach so private and not crowded at all! A perfect place to decompress!! Would recommend to everyone!!! We are so glad you enjoyed your vacation! We agree that this home is a wonderful option for a carefree beach getaway! We hope to see you again very soon! Winter break from school. My sister and I always plan short get aways for our kids. This year we opted for the beach and happened upon Dune Allen Sea Glass. What a find! The home was beautiful and more than enough room for our group of six. Two minute walk to the beach. We caught two beautiful sun sets!! The weather for February could not have been more perfect. We were looking for relaxation and no fuss during our four night stay. That’s exactly what we got. It truly sounds like you have the perfect winter getaway in this beautiful home. We loved having you with us and look forward to seeing you back at the beach soon! We had a fantastic stay at the house! There were 10 of us (7 adults and 3 children) and there was plenty of room. The elevator was so convenient to carry groceries or luggage up! We all loved the screened porch and the incredible views of the sunset! 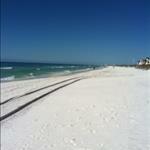 The walk to the beach is only two minutes away, great restaurants nearby, and short drive to Destin or Seaside! We will be back! We are thrilled that you had a fantastic stay with us! The convenience of the elevator is a plus, and the screened in porches are one of our favorite features of that home as well. 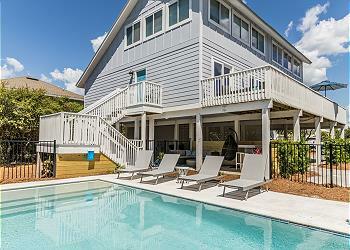 Being so close to the beach and Destin make this home’s location perfect! Thank you for your feedback and the great picture. Come back and stay with us soon! 2nd stay at Sea Glass! Family and friend vacation. Fabulous house for 9 of us. The beach is not crowded--our favorite part!! Plan to stay here year after year! Looks like the perfect day to spend at the beach relaxing! Thank you so much for staying with 360 Blue and we can't wait to have you back again soon! We had a wonderful visit and loved the house. It was beautiful and so close to the beach. The only recommendation of change I could offer would be making sure the grill is cleaned before the next guests arrive and possibly repair the grill as the temperature burns at the highest heat despite any adjustment. Both are minor issues that did not impact our enjoyment of our trip in any way. The house was clean, beautiful, perfectly located and supplied with everything we needed. This is a stunning beach photo! Definitely one to frame! Thank you for your valuable feedback on the grill and we are happy to report that it has been fixed! Thank you so much for choosing to stay with 360 Blue and we hope to have you back again soon! Our families loved sharing Sea Glass. There was plenty of room for our four adults and five children to spread out and plenty of common area comfort to enjoy meals and game/movie nights all together. Just a short walk to the beach to catch crabs and watch the tropical storm roll in. Wish those red flags had come down before we had to head back to reality but still found a lot of ways to enjoy the beach. Loved the decorative details in the house. The lighting in all the main areas was beautiful and we felt at home from the start. The elevator really helped when unloading groceries and we loved hanging out on the porch watching the ocean. The televisions in every bedroom helped the kids wind down after busy days in the sand. Beautiful beach feel and a great home for families. We are so happy to hear that despite the storm you made the best out of your time on the beautiful beaches. This amazing home is the perfect backdrop for a beach vacation. We loved having you with us and hope to see you back soon! This house! The view from the amazing screen porch! The beach so private and not crowded at all! A perfect place to decompress!! The staff were so friendly and even called to check on us while we were there!!! Would recommend to everyone!!! What a cutie! We are so thrilled that you had such a wonderful time in this beautiful home. The beach access there is one of our favorites with such incredible views. Thank you so much for choosing 360 Blue, we hope to have you back soon! It was a gorgeous property! Great location as well. What a perfect way to unwind and relax! We are thrilled you and your family enjoyed your stay so much. Thank you for staying with 360 Blue and be sure to come back and visit us again soon! Last minute escape landed my husband and myself in the beautiful "Sea Glass" home offered by 360 Blue. Beautifully decorated with all the amenities one requires, with tons of room for more family! Excellent customer service when checking in with informative emails during the week of the stay. We are so thrilled to hear that you had such a wonderful stay! This beautiful home has everything a family needs for the perfect beach getaway! We hope to see you back at the beach soon. What a great time celebrating my 50Th Birthday. Great time was had by all. 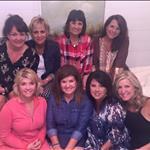 The home was very nice and it was perfect for this group of ladies. Happy Birthday! We are honored that you chose us for such a special occasion. This is such a perfect house for a birthday getaway and we are thrilled that you loved it. We hope to have you all back again soon! We had a party of four family members and enjoyed a wk of fun and sun and this beautiful house made it the best! It was roomy and clean with all amenities needed. Our son claimed the porch bed! We especially liked the proximity to the beach. 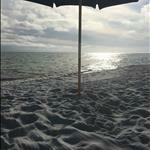 The white sand and gulf water was new for us and we hope to visit again. The bikes and furnished helmets were great for exploring nearby attractions and restaurants. Wonderful bike trails too. We all agreed it was one of our best vacations ever. Thank you. We are so grateful that you chose 360 Blue for your beach getaway! This amazing house provides the perfect backdrop for any family vacation. We are thrilled that you had such a wonderful stay and we look forward to having you back soon! Sea Glass/ 360 Blue properties deliver again!! This is our second year in a row coming on a family vacation in September!! The house and 360 delivered a knock out time as always!! I would highly recommend this house ( 2nd year we stayed there )for its location to the beach if you have small kids, which we do!! Only complaint is we couldn't stay longer!! See you next year!! We are so happy to hear that your family had such a wonderful stay! This home really has everything a family needs for an amazing beach getaway. We can't wait to see you next year! We are a family of 6 people, we had plenty of room to spread. The house location is beyond awesome 3 minutes walk to beach access. We enjoyed our time on third floor porch (swing bed) is a favorite. The house was equipped with everything we needed to cook our meals. Beautiful house, excellent location to everything yet away from the noise and the hassle. We will book again with 360 blues the staff are so friendly especially (Emily). All are questions was answered and the app is an amazing tool. We have been coming to this area for a while now and we definitely found our spot "Sea glass". This makes us so happy! We are thrilled that you had such an amazing time at this beautiful home. We sincerely enjoyed having you with us and we are looking forward to having you back soon! I love the picture! We love that you guys did a great deal of activities while in town, true vacationers!!! What can we say about this place? It has been an absolutely wonderful place to stay! We\'ve stayed at beautiful places, but this tops them all! Everything from the house location to its grand view from the top floor, which has you full of anticipation for the beach time you\'ll be enjoying, is fabulous! Such a great location for access to Seaside, the outlets, paddle boarding, and all the great restaurants! But if you want to prepare your own fresh seafood meal, you have access to wonderful seafood markets as well. We definitely will be reserving this place again for next year! The house does have some fantastic views! We're so glad you enjoyed your stay and we look forward to hosting you again next year! From start to finish, we had a fantastic time. Accommodations, amenities, and service were first-rate and location couldn't have been better. What a beautiful sunset! We are so glad to hear that you loved the house as much as we do. We hope to have you back again soon! By far the most beautiful home we've ever stayed in. So peaceful and quiet. Short walk to beautiful, peaceful beach. Close to all the action. Can't wait to come again. 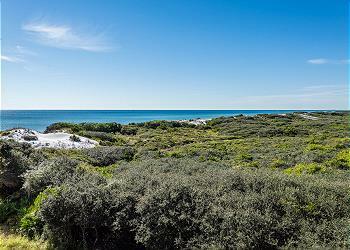 Dune Allen is truly a great area of 30A that keeps you close to the action without ever feeling overcrowded. We are so happy to hear that you had a great stay with us and we can't wait to have you back! Everything about the house and location was fantastic! 360 Blue app and concierge services were great as well! Can't wait to return in 2016! The water couldn't look more refreshing or inviting! Be sure to use the app when planning your next trip or give our reservations team a call as they're always eager to help! Thank you! Thank you for staying with 360 Blue!